Three pairs of clothes and Rs5,000 in cash. That is all that Dravya Dholakia of Ichhapore in Surat, Gujarat, had when he landed in Kochi on June 21, 2016. His father had told him to use the money only in an emergency, and to fend for himself till he found a job. Not that his family needed a breadwinner. 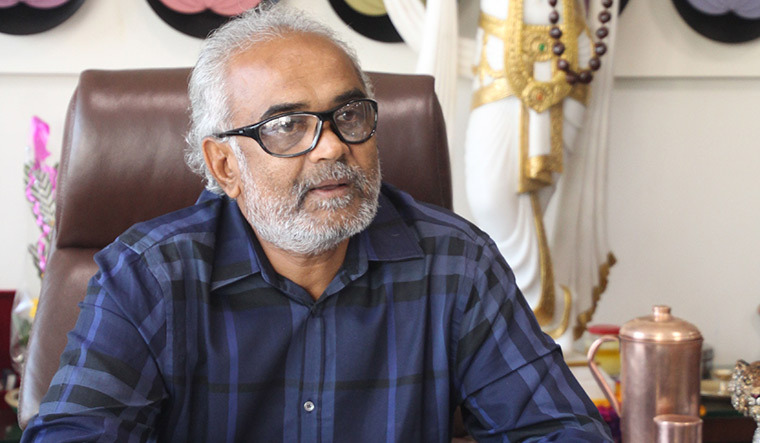 Dravya’s father, Savjibhai Dholakia, is the founder chairman of Hari Krishna Exports, which deals in diamonds and has an annual turnover of Rs7,500 crore. Savjibhai, 56, built the company with his three brothers, and all of them want their sons to learn the value of hard-earned money before they join the family business. To this end, they have made it a tradition to send their children to scout for jobs in cities where they had never been before. Nearly 60 employers turned him down before he landed his first job, for he did not know Malayalam, nor did he have a resume. As someone who could buy the latest iPhone without thinking twice about the cost, Dravya was forced to borrow cellphones from strangers to call up his father. “It is only if you have been in a jobseeker’s shoes, that you can understand what he feels. What rejection means,” Savjibhai tells THE WEEK in his office at a sprawling complex in Ichhapore, about 35km from Surat. Standing beside him, their arms folded in respect, are Dravya and Hitarth, son of Savjibhai’s youngest brother, Ghanshyambhai. Dravya returned to Surat on July 21. 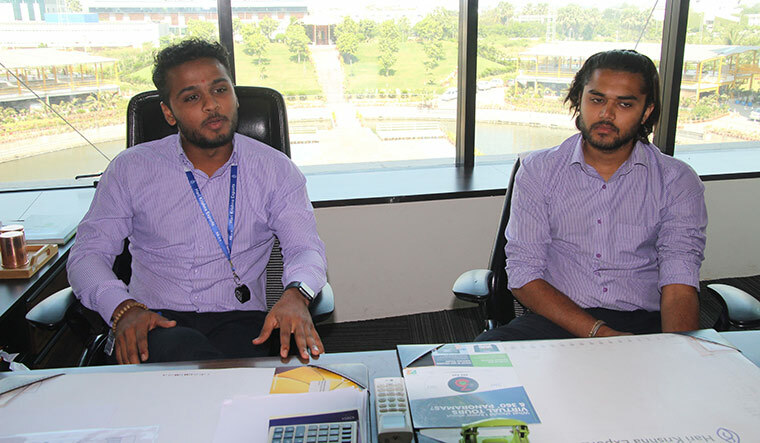 At Hari Krishna Exports, the Dholakias and their staff—who number around 5,500—wear the same uniform. Diamond cutters and polishers are referred to as engineers and artists, and the average employee salary is more than Rs70,000. In the past two years, Savijbhai has gifted cars, apartments and jewellery to employees who performed well. In 2018 alone, he is said to have gifted 517 cars and 39 houses. In the past four years, he has given away 1,739 cars, 294 houses, 575 jewellery items and 2,018 fixed deposits as performance rewards. 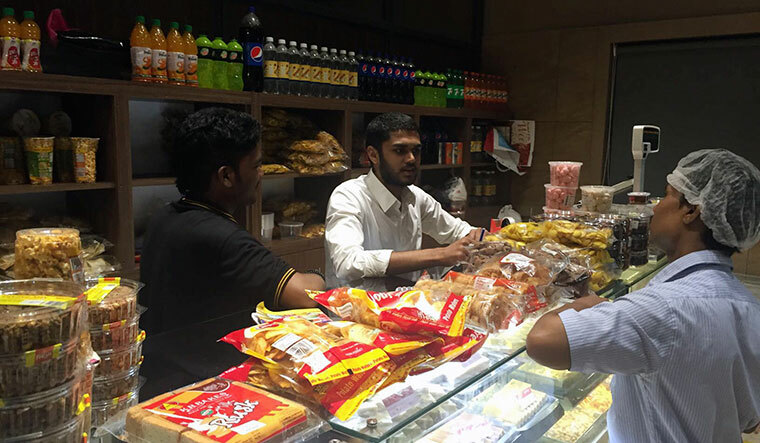 Learning the ropes: Dravya worked in the bakery section of a hotel chain in Kochi. He also provides insurance cover to senior staff, funds family tours, and contributes generously to conservation efforts. Hailing from Dhudhla village of Amreli taluka in Gujarat, Savijbhai has built a reputation as a benevolent man who believes in spreading his wealth. Kanjibhai Bhalana, chairman of Varachha Cooperative Bank, attributes Savjibhai’s success to his vision, dedication and hard work. Having known Savjibhai for 25 years, Bhalana says that the diamond baron has the ability to turn the impossible into possible—be it in the diamond trade or in the social services domain. He cites an example: last year, Savjibhai set up a project to irrigate and supply water to 500 bighas (around 200 acres) in Dhudhla, Akala and Lathi villages. Savjibhai excels in spurring his employees on to achieve targets. Savjibhai once told Bhalana that he wanted the average salary of his employees to touch Rs50,000 in a particular year. “The same year, he called me and said the average salary was now Rs50,000,” says Bhalana. Son of a farmer, Savjibhai has been part of the diamond industry for 25 years. After dropping out of Class 5, he went to Surat with just Rs12 in his pocket. He started out as a labourer in a small diamond factory, earning less than Rs200 a month. Thanks to his hard work, though, he soon began earning a four-figure salary. Savjibhai was a diamond cutter and polisher for 10 years, before he and his brothers Himmatbhai and Tulsibhai set up their own business. In just one year, they had a turnover of Rs1 crore. By 1992, Ghanshyambhai had also joined the business, and together they established Hari Krishna Exports. 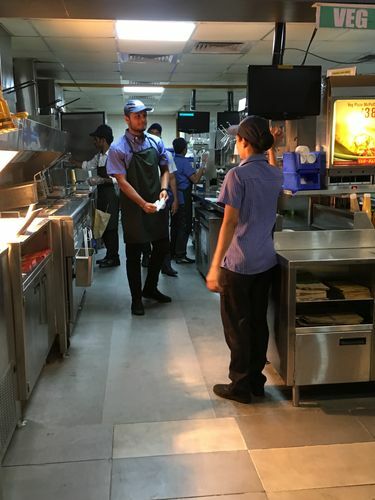 Facing the heat: Hitarth during his stint at McDonald’s in Hyderabad. The brothers have not looked back since. Thanks to hard-working employees, the company has performed consistently, withstanding economic downturns. The elder Dholakias are a lesson in themselves, but they want the younger generation to learn from their own experiences. Pintu, son of Tulsibhai, was sent to Jaipur after he completed his graduation at age 18. He was given only Rs1,000 for emergencies. He worked as a bellboy in an ordinary hotel, and stayed in a dharmashala that charged him Rs5 per day. He also went door to door selling the Oxford Dictionary, and moonlighted as a computer operator and mall salesman. He did not get paid for anything, though. “They [employers] would pay only those who worked for at least a month,” says Pintu, who is now 32. His stay in an unknown city, however, boosted his confidence. “I became confident that I could start anything from scratch,” he says. Interestingly, it was because of Pintu that Savjibhai had the idea of sending the children away to scout for jobs. In 2005, the Dholakia brothers went to London to attend a jewellery exhibition, taking their children along with them because they knew English. The family, along with a staff of 15, went to an upscale restaurant. When the bill came, Savjibhai was shocked. The restaurant had charged 5 for the papad Pintu had ordered. Six months later, Pintu was sent to Jaipur. His cousins were later dispatched, one by one, to Pune, Vadodara, Bengaluru, Hyderabad and Kochi. Their mothers might not have approved of his plan, says Savjibhai, but they respected him too much to voice their opposition. The only one who openly resisted was his mother, Phuliba, but Savjibhai was able to convince her of the merits of his plan.